If you are thinking to buy and import a used car, know your options first and then source it from a reliable car dealer to help you with your car shopping, so you can come up with a sound decision. Below are some of the highly recommended used cars under $1,000 in Zambia: Honda Odyssey, Toyota Voxy, Toyota Vitz, Toyota Mark II and Chevrolet Blazer. ** Note: This article is sponsored by BE FORWARD.JP – your great source of used cars with unbeatable prices and worldwide shipping. The Honda Odyssey has great features and powerful engine – efficient, economical and with lower emissions – specifically the year 2005 version. The engine is available in 4 cylinder, direct injection and v6 variety which give it a lot of power and torque. At cruising speeds, Honda Odyssey has features that can stun any driver and passenger as it has the I-VTEC engine with variable cylinder management technology that cuts off three cylinder while cruising and a noise-cancelling frequency broadcast through the sound system which minimizes audible evidence through its fully equipped engine mounts that are electronic liquid filled to mask any vibrations. With an elegant design that is simply stunning, the interior of the Odyssey is very spacious, luxurious and includes a stowable second row plus one seat that allow seating capacity for 8 persons and one split third row magic seat that makes cargo loading easy when in use. Its power operated rear seat foldaway system is a testimony to the Odyssey luxury by pushing a button in the cargo area; the third row seat automatically tumbles beneath the floor for a perfect flat cargo surface. It’s extremely impressive to watch. There is no fumbling about with the seatbelts or latches – you only need to ensure that the head restraints are tilted forward before pushing the button. When more carrying capacity is needed, the second row seat`s 60:40 split backrests can be folded forward creating a lot of space. 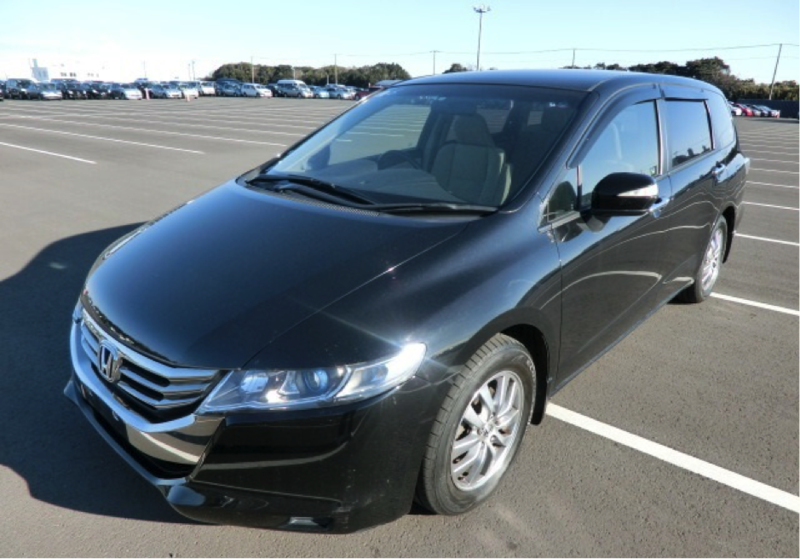 Apart from that, the Odyssey has a low ride height of which is convenient for families with small kids. This mini van also has large picture windows, which provide young passengers a better view of the passing by scenery as you entertain them. The luxury version of the Odyssey has an electric two stage sunroof, illuminated vanity mirrors, auto headlights, 6 stack CD player, lidded second row door pockets, extensive use of wood grain and titanium look trim, 8-way electric driver’s seat adjustment and two-stage electric front seat warmers. The safety features of the Odyssey include the following: child proof rear door locks, vehicle stability assist (VSA) which enhances stability by detecting over steer or under steer, Driver & Front passenger airbags, Anti-lock braking system, side impact airbag, electronic brake distribution, Brake Assist, Dual stage driver and front passenger airbags (SRS), etc. What makes the Honda Odyssey great? It can be stated here that the Honda odyssey is a great vehicle to drive and highly recommended from middle to larger families as it can accommodate a maximum of 8 family members. 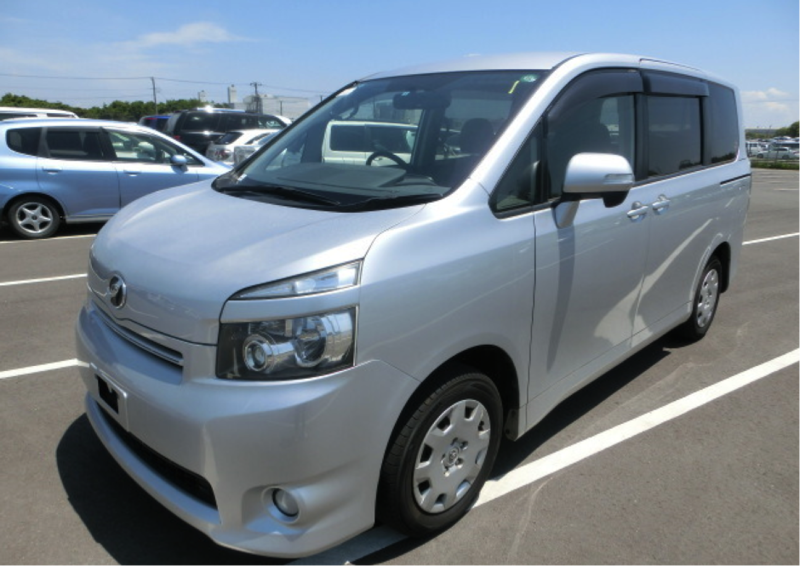 The Toyota Voxy is a compact vehicle with a similar passenger capacity with that of the odyssey except that with this unit it has multipurpose uses with two sliding doors that makes it a favorite for families all over the globe. The Toyota Voxy features a neatly designed interior, which is user friendly to all drivers and passengers. The Voxy features two roles of seats with sufficient leg and sitting room. These seats are able to rotate 60 degrees and 30 degrees on the driver’s side and have a special feature for buckling and unbuckling small children. Apart from those, the seats of this compact family vehicle can be easily folded up with a touch of a button and the interiors also host a powerful air conditioner with clean airflow and self-operating temperature activity control. The exterior features of the Toyota Voxy are the distinct expression of elegance and individualism of the unit as the vehicle has unique yet big enough headlights and compact surrounding framework. In addition to those elegant looks, it also has a lower center of gravity, which perhaps makes it stable and comfortable on the road. Basic standard features of this unit include power steering, power windows, front and side impact airbags. This car is highly recommended to small, medium and large families, as it can be used for quite a number of tasks apart from being a family vehicle. It has lots of space for cargo and the consumption is definitely ideal for covering long distances. The Toyota Vitz or the Toyota yaris as it might be known in some parts of the global market is one of the brands of the automobile manufacturer that has had a positive major impact when it comes to car sales. The Toyota Vitz is a small sub compact car that is typically easier to handle than other compact units in the market, the versatile nature of this unit makes it ideal for city driving and cope with urban traffic congestions. The Toyota Vitz has engine dispensation of 1500cc with a four-cylinder engine, which is fuel efficient. The unit is very cheap to buy and easy to maintain than most regular-sized automobiles as one can easily access spare parts everywhere in the world. The interior of the Vitz features split back seats with the flexibility of being able to fold with ease to create enough space in the cargo area, the rear seats also have enough legroom for standard height passengers and it can also accommodate a carrier or car seat. Other interior features include the standard air conditioner, spacious compartments, radio system, standard automatic transmission, etc. 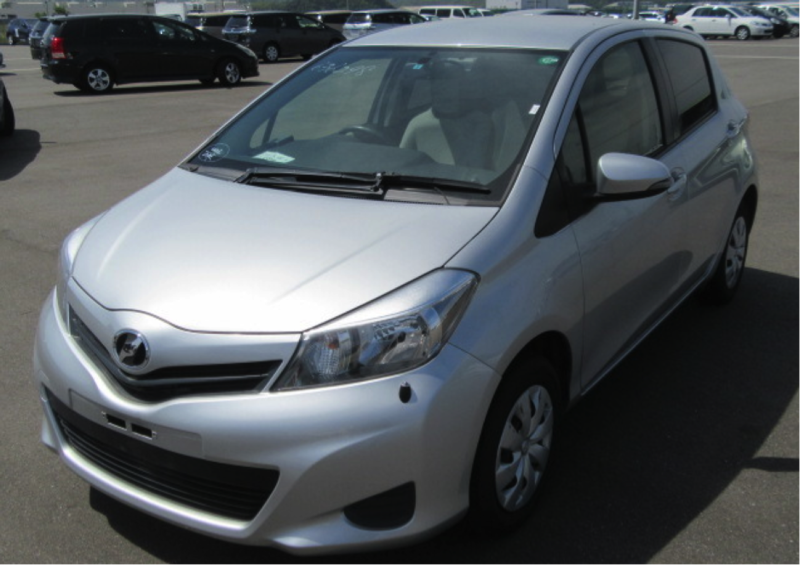 The exterior features of the Toyota Vitz consist of powerful headlights, wide windscreen and nice trim sides. The Toyota Vitz is ideal for young couples or solos who want to have an efficient ride from one place to another with less financial stress in their pockets in terms of fuel consumption and ease of maintenance of the car. 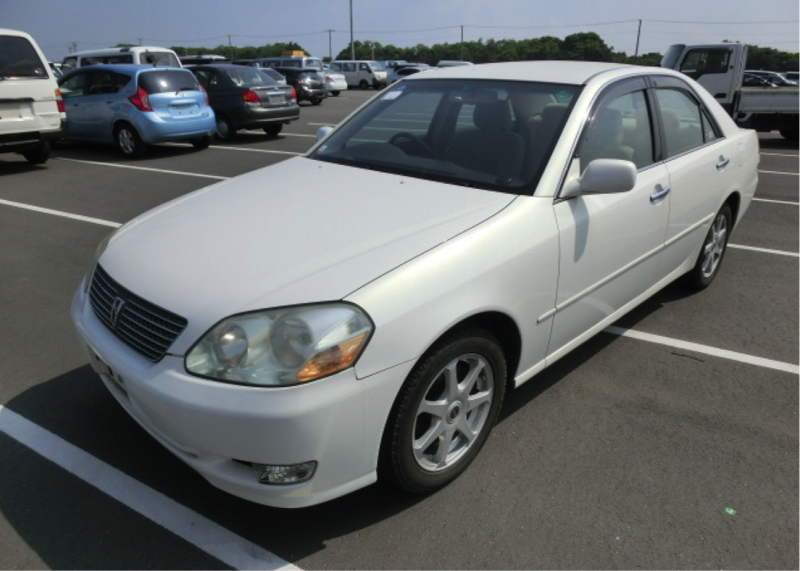 The Toyota Mark II is known to be a luxurious car that offers a lot of space and comfort. The vehicle comes in an engine capacity of 2,499cc with an option of a turbo charger. This vehicle has a higher consumption rate than the above units but it fully compensates in terms of comfort and stylish interior/exterior features. Most of these units come in automatic transmission with rear wheel drive. The interior of this unit includes nice dashboard finishing, powerful air conditioner, radio/audio system, various storage compartments, spacious front and rear legroom with enough sitting room to accommodate a medium size family. The exterior of the Mark II features the powerful headlights, nicely designed side trims with compact grille that is uniquely designed to give that luxurious feel to it. The cargo area has enough space to accommodate medium to large groceries. The Toyota Mark II is one of the luxurious saloon cars in the Toyota family line of cars, which is capable to host small to medium families and has that comfort and space to it that is quite unique and appealing to everyone. Finally, the Chevrolet Blazer – one of the powerful SUVs that can take you anywhere as it is suitable for both off road and tarmac driving. The standard features of this vehicle include alloy wheels, power steering, power windows, ABS, airbags, spare tire, wheel spanner, jack, etc. with a body kit of a true SUV. 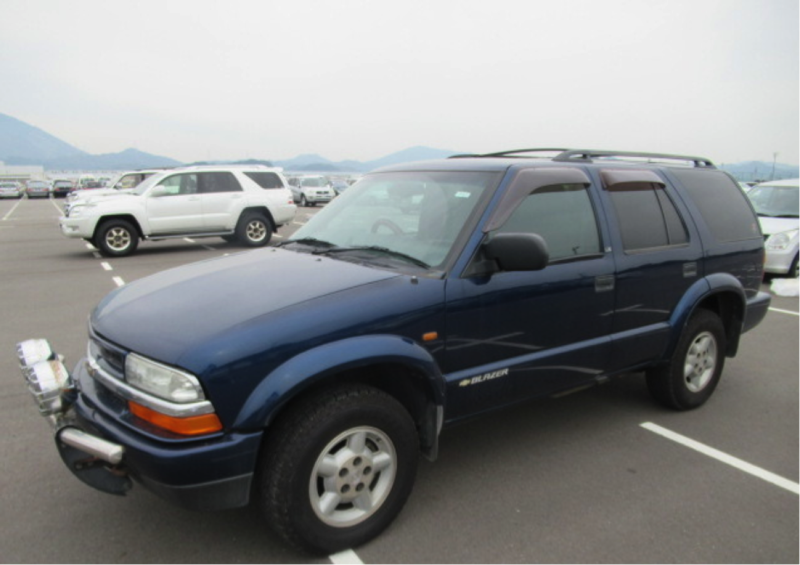 The 2002 Chevrolet Blazer has an engine capacity of 4,290cc and features a four-wheel drive with automatic transmission. Weighing in at 1890kg this powerful SUV has interior seats that can accommodate medium families with a lot of space for extras, and unlike many SUVs the interiors are neatly designed to blend with the rest of the dashboard. The Chevrolet Blazer has everything that you might need in an SUV except for a little bit of higher consumption levels but that is typical of all SUVs as they host bigger and powerful engines. The Chevrolet Blazer is recommended to medium and upcoming large family units as it is ideal to be taken off road and can also be suitable for urban driving. Apart from that, this SUV can also be safe for you and your passengers. Do You Know How To Import Used Cars in Zambia? Meaningless advert. People buy according to what they want and what suits their pocket. Its not about blablabla – NO.